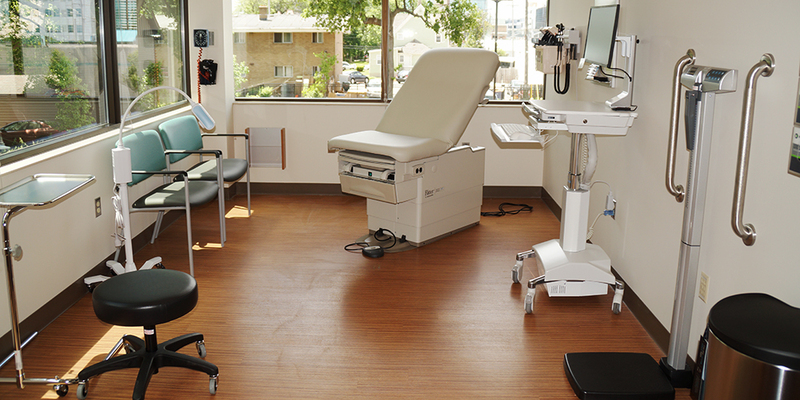 This is our largest project completed to date for Spectrum Health. It involves a $6 million renovation of a 30-year-old building to provide a new Integrated Care Campus along the Medical Mile in downtown Grand Rapids. The three-story facility offers one-stop medical care with diagnostic and treatment services and equipment in one location. In addition to gutting and building out the existing building, Granger also constructed a new drop-off canopy and vestibule at the main entrance. This project was completed on time (May 2017) and within budget. Granger is also nearing completion of a new $30 million Integrated Care Facility in Grand Haven, a partnershipship between Spectrum Health and Holland Hospital. This project involves a three-story, 105,000 s.f. state-of-the-art facility that will feature primary care, urgent care, specialty physician care, laboratory and radiology services (including CT and MRI) as well as outpatient surgery. This new facility will open to the public in March 2018. Granger has employed clear and constant communication to ensure smooth running and transparent projects. In many cases, projects were completed within occupied buildings or operational hospitals, requiring exensive coordination with building users to ensure the safety of staff, patients and visitors and to maintain day-to-day operations. This high level of communication and the ability to deliver on our promises has been a key factor in developing a trusting relationship with this high value client.